You don’t learn much by asking questions. What I mean by that is that the typical “who, what, when, where, why” approach doesn’t gain much in terms of insight. Honestly, when is the last time you actually learned the truth about someone by asking them these types of questions? The key to discovering someone’s true motivation or character is: the follow-up question. It is politely, but firmly, asking your audience to build on their prior answer… to go deeper and be more authentic in their response. 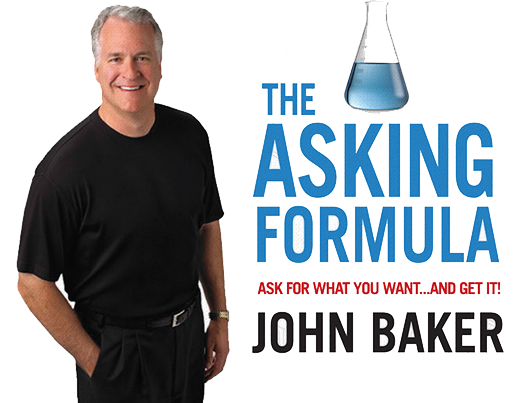 Leave a reply / Posted in The Asking Lab and tagged Asking, Communication, Immediate Impact, Sales Competencies, Simplicity on July 31, 2015 by . Have You Heard About the “3:30:3 Rule”? Summer is here and we’re heading into a holiday weekend. Let’s make this brief. “The 3:30:3 rule works like this: You must earn an audience’s interest in the first three seconds. Do you have something meaningful to say, and do you have a useful solution to my problem? If you are successful in the first few seconds, they will most likely grant you another 30 seconds. Stevenson’s firm, Client Kudos, creates stories that gain attention and engage audiences in fresh ways. His 3:30:3 rule is proven to work with written communications, but is equally powerful to keep in mind when you are asking for what you want. Directly asking for what you want gets your audience squarely focused on solutions in the first few moments of the conversation. It cuts through clutter and static. It differentiates you from others who spend too much time and provide too much information trying to get to their point. The number one constraint in people’s lives is TIME. 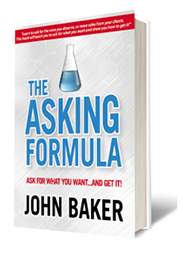 When asking for what you want, use The Asking Formula – and the 3:30:3 Rule – as a way to make the most of your and your audience’s time. Leave a reply / Posted in The Asking Lab and tagged Asking, Closing Business, Communication, Sales Competencies, Urgency on June 30, 2015 by .